If you’re looking to have a little taste of Kenya, but won’t be making the trip to join me. 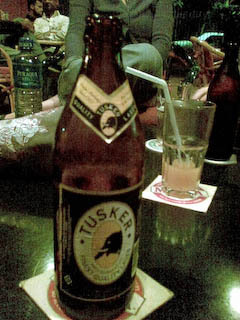 Head to your local specialty beer mart and pick yourself up some Tusker. It’s about $2 a bottle (500ml) and it’s tasty.